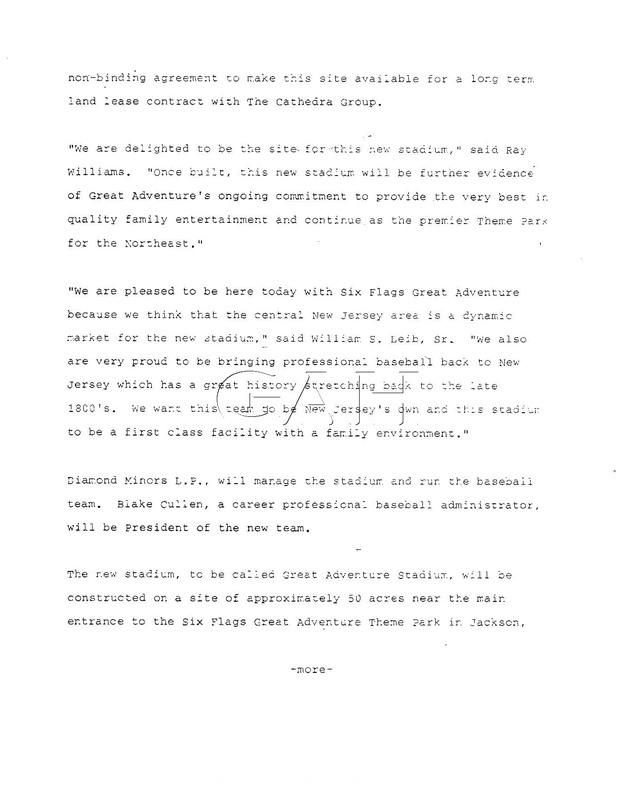 In 1989, Six Flags Great Adventure announced an agreement to build a minor league baseball stadium on the park property. 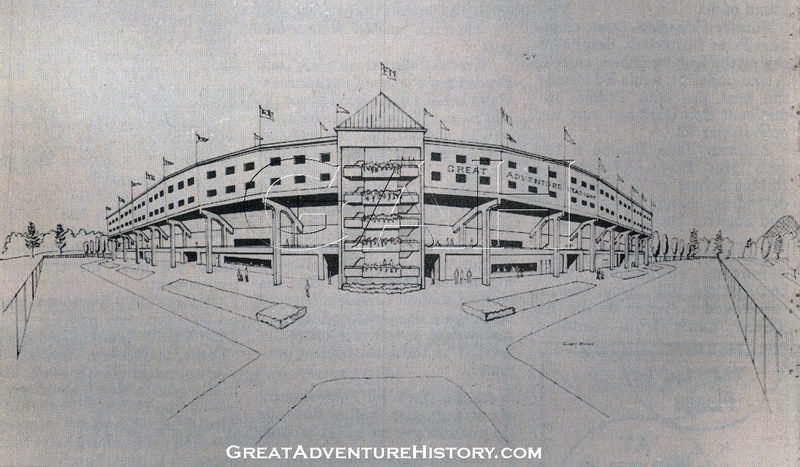 The stadium was to be the first new minor league stadium in New Jersey, predating the proliferation of stadiums that have been built around the state since then. 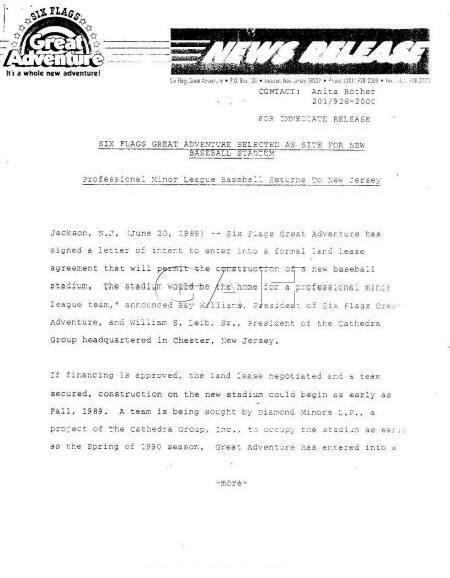 On Thursday, June 15, 1989, the top story in the Asbury Park Press leaked the news that Six Flags Great Adventure would be making a major announcement within days, outlining plans for a minor league baseball stadium and adjoining hotel. 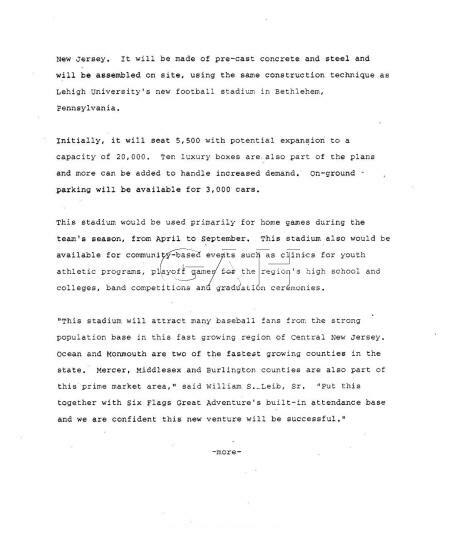 According to the article, sources said the stadium would occupy a 50 acre site on the park property, and would initially have seating for 40,000, with the potential to expand to 60 or 80 thousand seats in following years as crowds demanded. It would turn out the scope of the project was greatly exaggerated by the article's source. The park's press conference laid out the plans in more detail and cleared up the misconceptions. 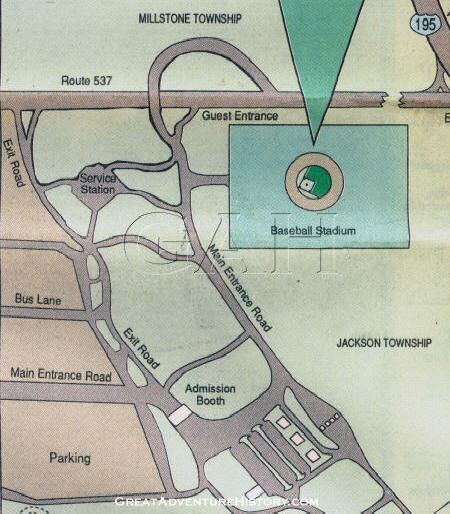 The site proposed for the stadium was just off Route 537 and the existing park entrance road. 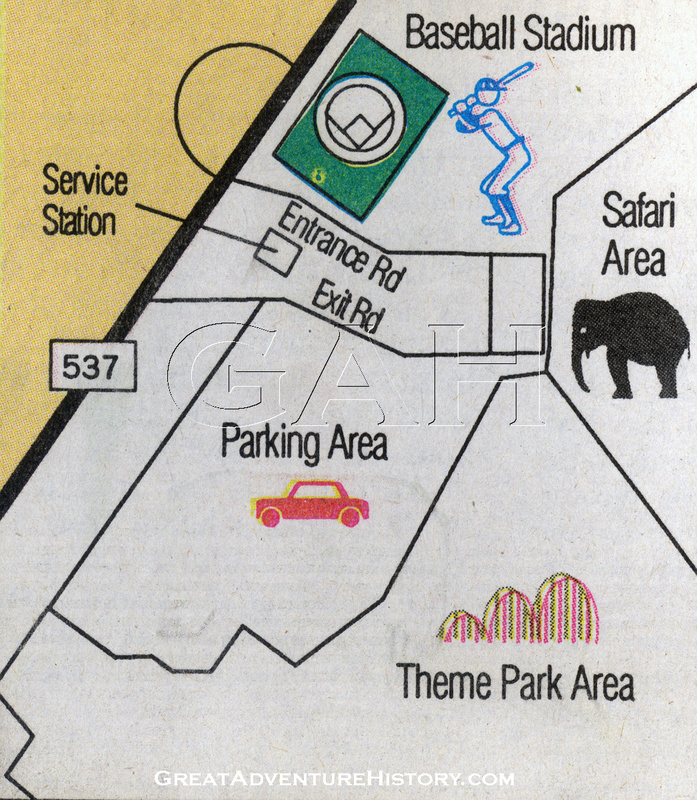 This site would eventually become home to the Hurricane Harbor waterpark. The ballpark was to be called "Great Adventure Stadium" and was to be built on park property by the Cathedra Group's subsidiary, Diamond Minors L.P., a Morris County based company that was looking to bring a minor league team to New Jersey. 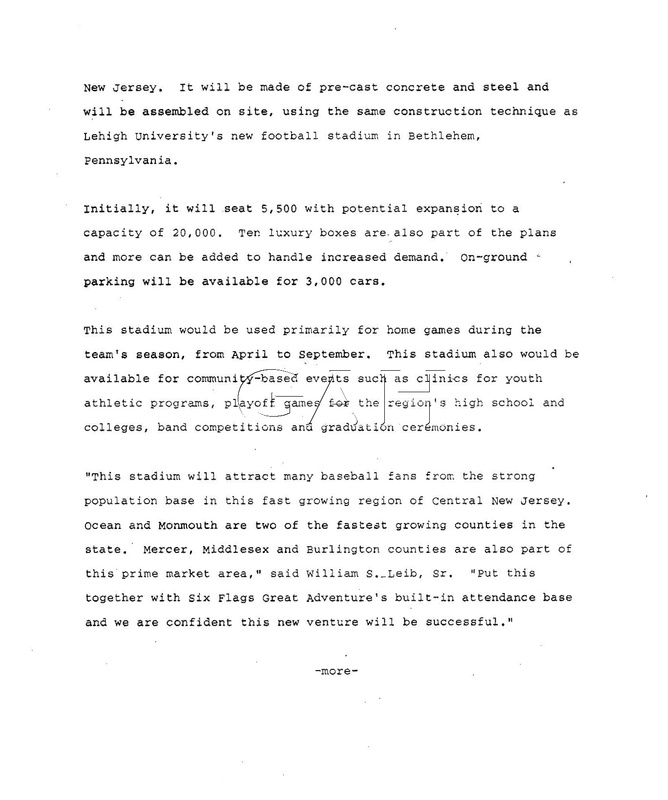 The land was to be leased by the park for 50 years, with the Cathedra Group footing the costs and running the stadium as well as purchasing and relocating a team. 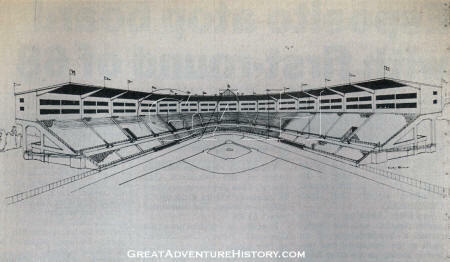 The plans called for construction to take 6-8 months and be ready for the 1990 baseball season. 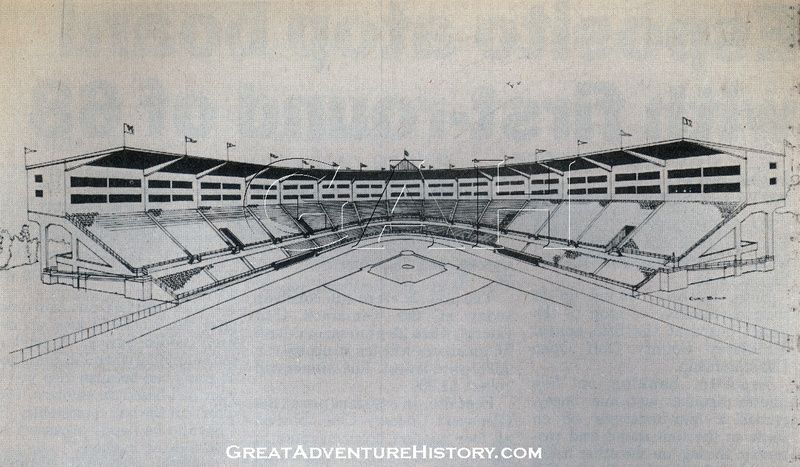 The size of the stadium was 5,500 seats, with plans for expansion to 8,500 seats in the second season, and an eventual build out to 20,000 seats. 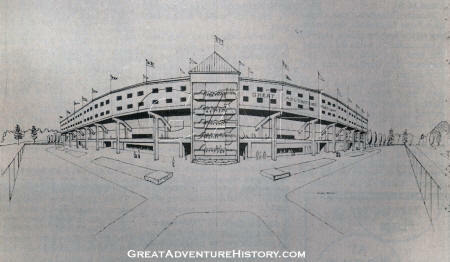 The stadium also was to have 10 sky boxes, and a parking area that could hold up to 3,000 cars. Projected cost of construction for the initial phase of the project was $6 million. Total costs for the project including construction of the stadium, purchasing and moving a team, and the additional startup and advertising costs were projected to be around $12 million. 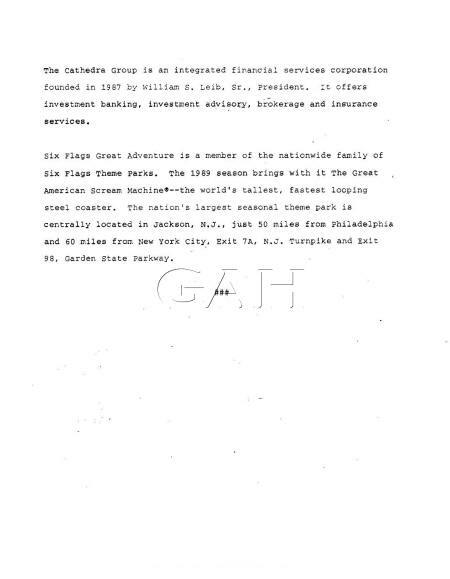 Cathedra Group was in the market for a "AAA" or "AA" league team, and speculation was that the Oklahoma City '89ers or the Williamsport Bills were top contenders for purchase. The stadium was scheduled to employ about 20 full time workers, and have additional part time staff during the season. Tickets were supposed to be $5-$6 each, and all seats were to have completely unobstructed views and be less than 100 feet from the field. Games were expected to normally draw 4500-5000 people, but with crowds as little as 2500 per game, the team could break even on costs. The site was chosen for its proximity to major population centers in the state and its central location near major highways. Studies at the time said 2.1 million people were living within a 1/2 hour drive of the stadium. The stadium was to be built of steel and precast concrete components for cost effective and rapid construction. The field was to be real grass bucking the trend of Astroturf which was still popular for stadiums at the time. 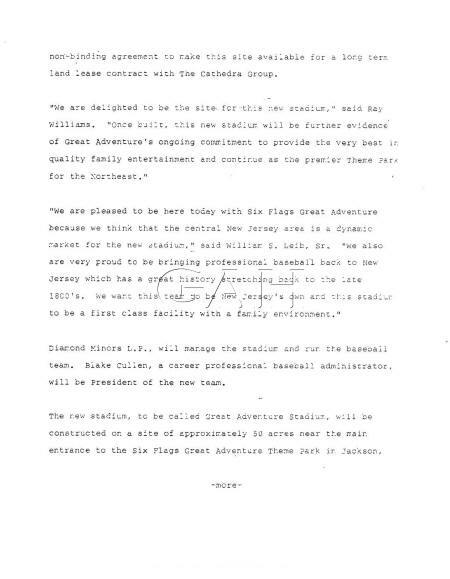 In addition to being home to a minor league team, the stadium was also going to be available for Little League, High School and College tournaments and other special events. Beer sales were to be restricted to the 10 sky boxes only, in an attempt to maintain a family friendly atmosphere. At the time, the park had also restricted beer sales to special events as they focused on improving their family image. 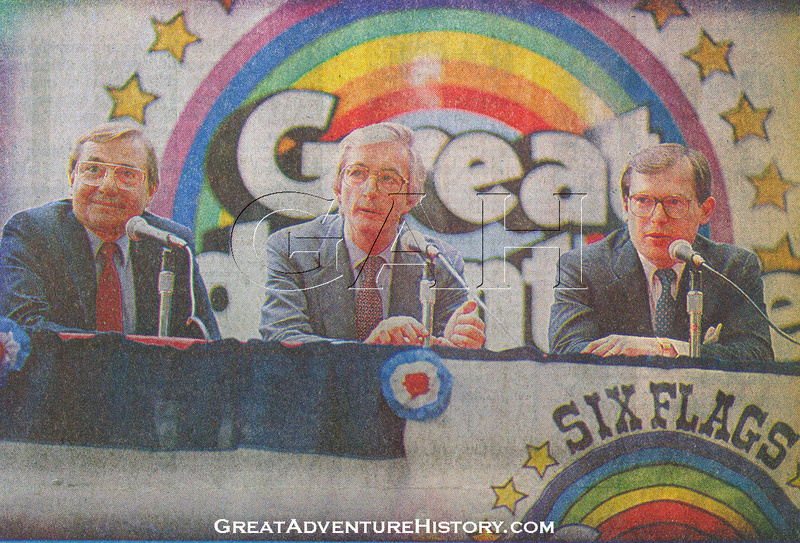 According to then Park President Ray Williams, "The Stadium fits in with Six Flag's plans to make Great Adventure the largest recreational complex in the country". He also mentioned that while a hotel was not planned in this phase, as the increased crowds warranted long range plans called for construction of a hotel on the park property. 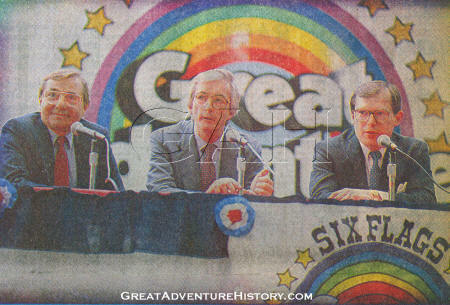 Part of the news conference focused on the history of baseball in New Jersey, with the first known baseball game ever being played in Hoboken. 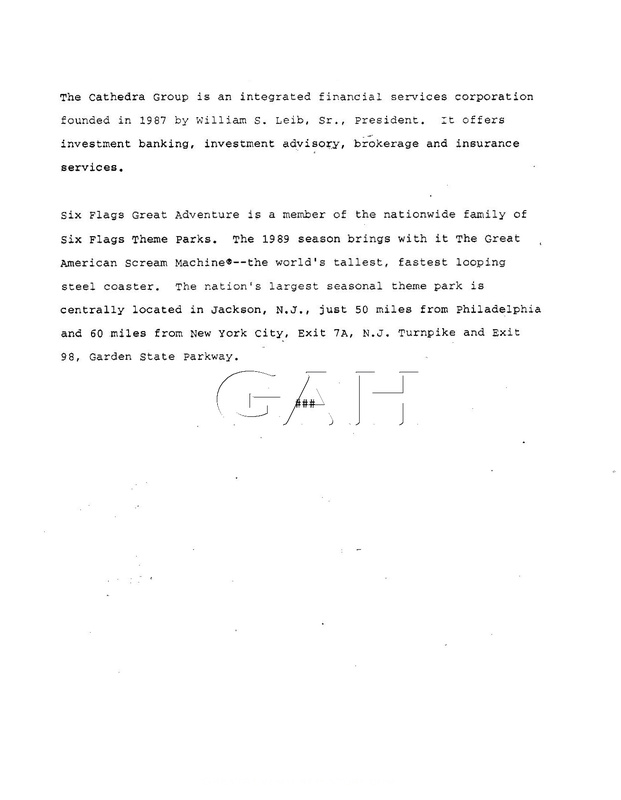 The last of the professional baseball teams that called New Jersey home had moved out of the state in 1978, and Cathedra Group believed there was a market for a new team.